Mark Levin speaks at the 2018 Conservative Political Action Conference (CPAC) in National Harbor, Maryland. Conservative political commentator and best-selling author Mark Levin will hit the Philadelphia airwaves on weeknights, giving the popular host a dedicated slot in his hometown market. Entercom announced Wednesday that Talk Radio 1210 (WPHT-AM) will begin broadcasting Levin's show nightly from 6 to 9 p.m., a time slot that had been filled by the Sean Hannity show, which is moving to 9 p.m. to midnight. Slipping off the schedule is the Dave Ramsey program, which offered financial advice to listeners. Levin grew up in Elkins Park and is a graduate of Cheltenham High, Temple University and Beasley Law at Temple. His show, produced by Westwood One, ranks in the top five nationally among talk radio programs and has broadcast daily on nearly 400 stations since its inception in 2002. 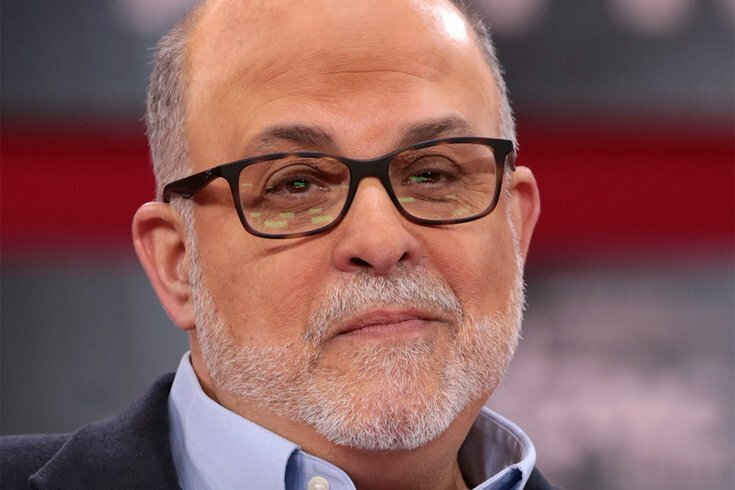 A Constitutional lawyer, Levin's new FOX News show "Life, Liberty and Levin" debuted in February on Sunday nights and has quickly become a ratings success for the network.